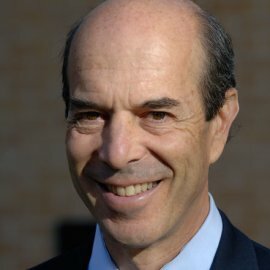 Ian Goldin is a leading global thinker and exceptional speaker. After a career which included being CEO of a bank and vice president of the World Bank, he is now at Oxford and serves on a variety of boards. His most recent and widely acclaimed books are Globalisation for Development andExceptional People. He is the author of two upcoming books, Divided Nations: Why global governance is failing and what we can do about it, and The Butterfly Defect: Globalization and Systemic Risk. Goldin is the director of the Oxford Universitys Oxford Martin School which aims to provide solutions to some of the great challenges of our time. The School covers the frontiers of physical, environmental and medical science change and as well as population, migration, ageing, food and natural resources and the associated global governance challenges. Goldin is a Professorial Fellow at the Universitys Balliol College. Goldin previously was at the World Bank, where he served as vice president with wide-ranging responsibilities. These included being a member of the Banks Executive Committee and having responsibility for all major shareholder relations and relations with the UN and other global partners. From 1995 to 2001, Goldin was chief executive and managing director of the Development Bank of Southern Africa. Under his leadership, the Bank was transformed to become commercially independent and the leading agent of infrastructure development in the fourteen countries of Southern Africa, becoming the primary source of finance to over 500 municipalities and developing public private partnerships in the region. During this period, Goldin was an advisor to President Mandela and accompanied him on many state visits. Previously, Goldin worked at the European Bank for Reconstruction and Development (EBRD) in London, as principal economist, and prior to that at the OECD Development Centre in Paris, where he directed the Programs on Trade, Environment and Sustainable Development. Goldin holds a BSc and BA (Hons) degree from the University of Cape Town, a MSc from the London School of Economics, an AMP from INSEAD and an MA and DPhil from the University of Oxford. He has received numerous awards and prizes, and has been knighted (Chevalier) by France and was nominated Global Leader of Tomorrow by the World Economic Forum. He has published over fifty articles and thirteen books, three of the most well-known being The Economics of Sustainable Development (Cambridge University Press), Globalisation for Development (Palgrave MacMillan), which Nobel Laureate Joseph Stiglitz has recommended as "essential reading", and his most recent Exceptional People: How Migration Shaped our World and Will Define our Future (Princeton) which Ned Phelps, Nobel Laureate has said will "will change, if anything, the way governments and organisations view migration policy." "Exceptional speaker. One riveting story of how this world can be transformed into a peaceful world. "We are living in extraordinary times" is a good reminder to all of us that we have a purpose for our lives."